Save the date, your Shanghai trip won't be complete without joining our chilling ChinaJoy afterparty! Hosted by Mobvista, Morketing and Upltv, and with supports from GameAnalytics, Mintegral, Avid.ly and Adrealm. 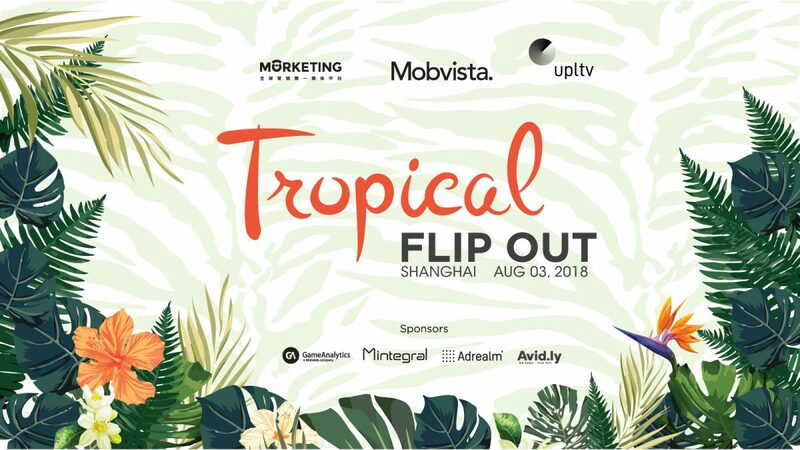 Tropical Flip Out is a The Cut Rooftop in Shanghai. Enjoy the summertime and mingle with new and old friends with the best view overlooking the amazing metropolis!